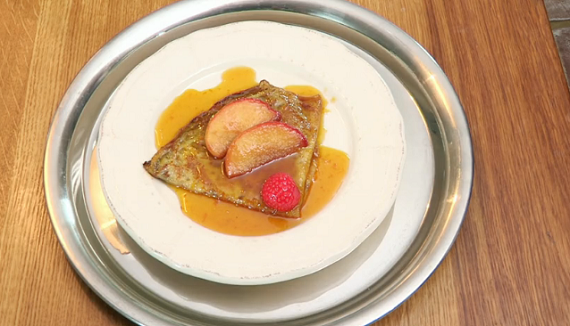 Chef Aldo Zilli impressed with his house and crepe dessert on Who’s Doing The Dishes? Italian chef Aldo Zilli impressed his diners Derek, Fraizal, Lyn and Kadie with his house and pancake dessert on Who’s Doing The Dishes? with Brian McFadden. 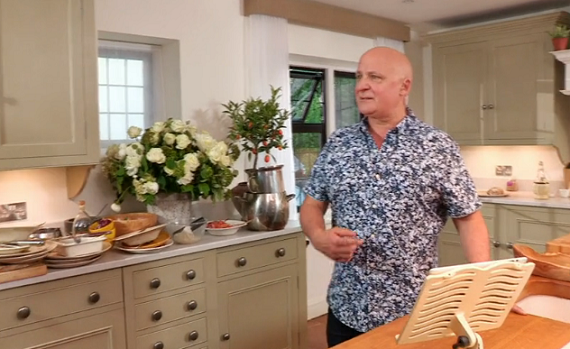 The celebrity chef and restaurant owner who specialise in vegetarian and seafood cuisine, served up two fish courses that did not go down well with the four strangers in his beautiful home, but it turned out that they were saving themselves for dessert. His ready steady crepe with liquorice ice cream went down a treat.